Symply G Keratin Shampoo and conditioner provides the hair with maximum moisture making it SILKY, SOFT and SHINY. – Symply G! 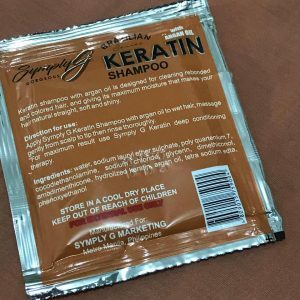 It says the keratin shampoo is designed for cleaning rebonded or colored hair that makes hair moisturized, naturally straight, soft and shiny. Simply apply shampoo over wet hair and massage. 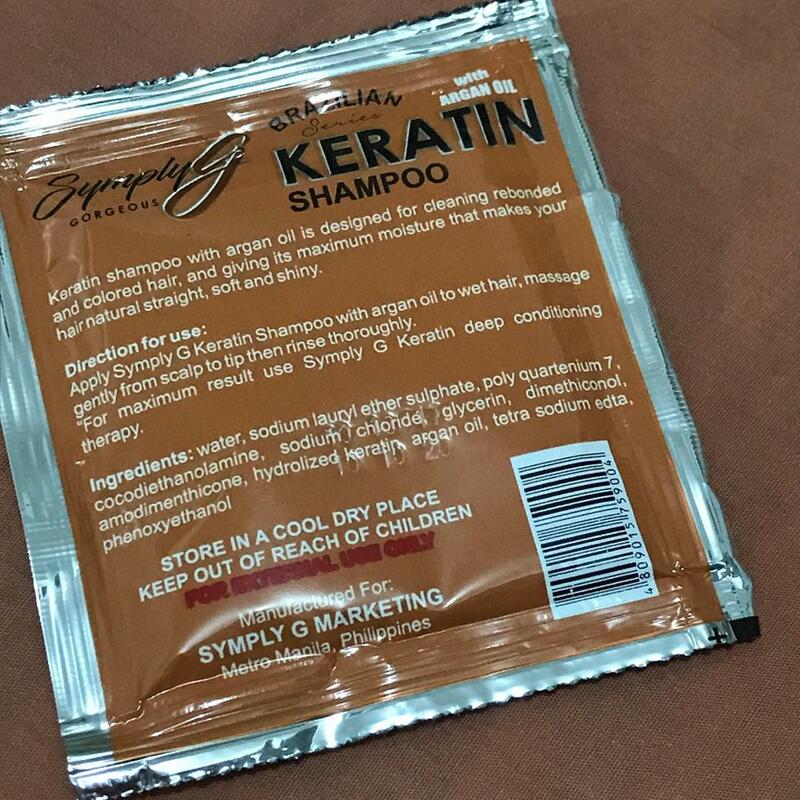 My first impression was the smell, it smells exactly like the shampoo in the salon/ parlor Overall, its okay. I did noticed that my hair was soft and had less tangles. Deep conditioning works to re-hydrate dry and damaged hair. Formulated also for sensitive scalp. 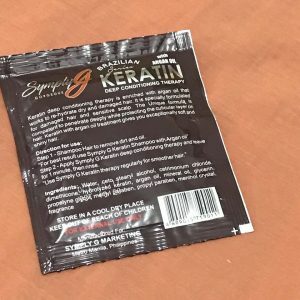 Its unique formula makes hair soft and shiny. After shampoo, apply conditioner and leave it for 1 MINUTE. It says on the sachet 1 minute treatment on a daily use. Among the two, I prefer the conditioner because the smell is like candy, it smells so good! and when you leave it on for a minute you get that MINTY FRESH FEELING, which is so relaxing. Personally I didn’t want to wash it off right away because it was so cool on the scalp. This is my first time that I got to experience it with a conditioner. I usually get this kind of feeling from shampoos. Overall, It’s very GOOD. The price range is SO AFFORDABLE just PHP 6.00 per sachet. 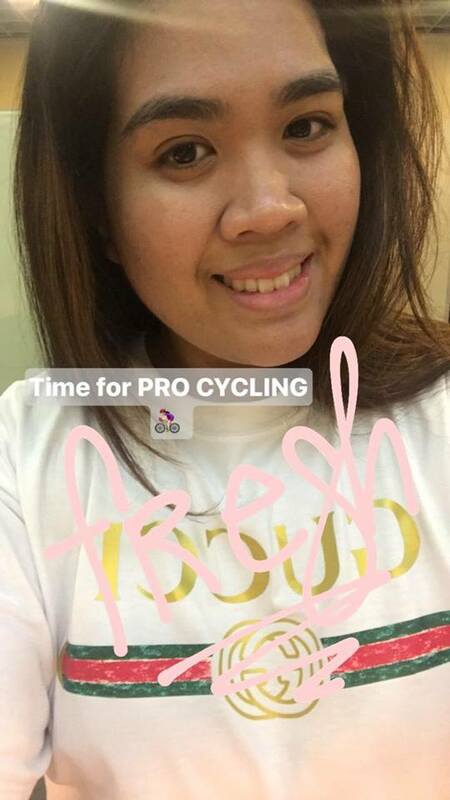 I’ve been using it for a few days my hair feels so fresh, light, less tangles and the feeling that your hair is “bagsak”/straight. 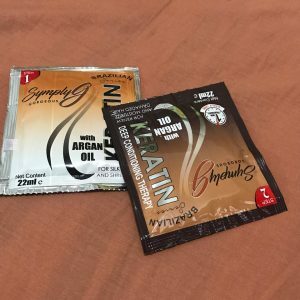 I recommend that you have to use BOTH for it to actually work and be satisfied with the result. On the first day, you’ll already know the difference and you get the same feeling over again. After a few hours my hair wasn’t oily and my hair was easy to managed. It would start to oil out after 18 hours+ (my estimate). Compared to other brands, this is a good deal PHP. 6.00 for 22 ml ! You usually get like a small amount from other brands and would cost a bit more. Symply G with a “Y”, YOU get more than what you paid for. It’s amazing that it is just PHP 6.00 and you can bring it anywhere since it’s packed in a sachet which is light to travel with. 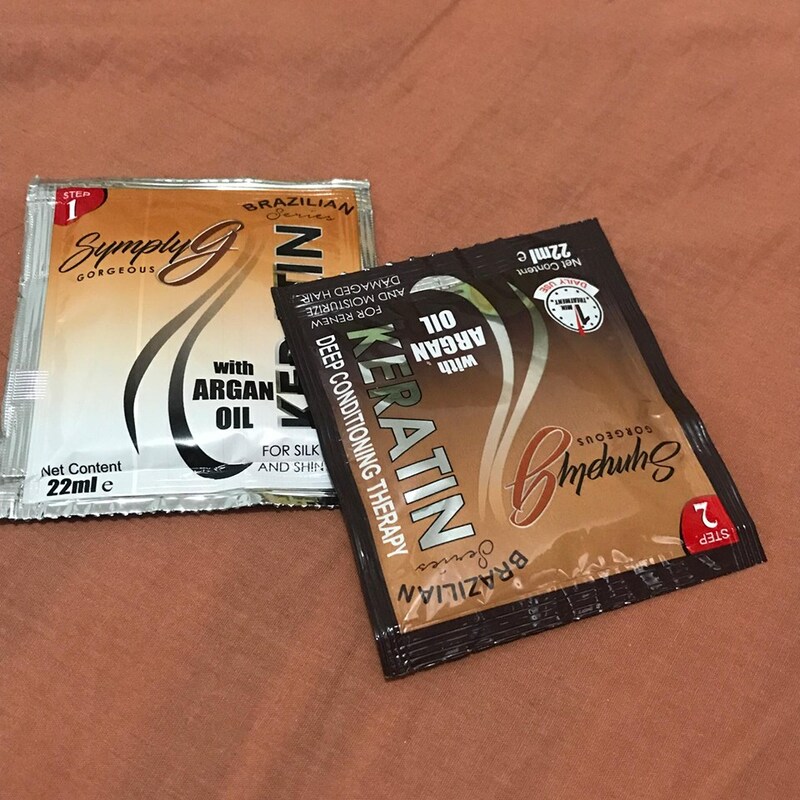 Tips, for those who go the gym, I think you can use the conditioner while you are in the steam room because of its treatment formulation and its light to pack in your gym bag or have it in your own personal locker because it doesn’t add to much space. Since my hair is colored and when I started using SYMPLY G, I just had my hair color done. So far good and gives my hair that shine but I still have to see in the coming days still. You guys know how much I love Tim Hortons, at the launch of their warm wishes campaign – this campaign is about appreciation for those who think deserve a treat this Christmas. Fill out the name of the chosen person, their address, a message and stating what they deserve this coming holiday – It can be simple and sweet. To hit the festive spirit they have introduced their Christmas menu which will be available on November 6. 3 drinks and 1 donut. I personally like the Rudolph Red velvet latte since I am more of the coffee side and for the berry flavorthey had I liked the Merry Berry Hot Chocolate which is the perfect sweetness for the coming winter. It’s like warm hugs in a cup. The #WarmWishes campaign rests on the brand pillars of warmth, community, connection, friendliness, and fun. Guests are encouraged to visit participating Tim Hortons® restaurants to drop a wish in the Cup of Cheer for someone deserving this Christmas season. Whether it is a person, community or local charity, Tim Hortons® will spread as much warmth and joy by fulfilling these wishes. In addition to the Cup of Cheer, Tim Hortons® is delighted to release its Holiday Menu and Merchandise collection. Beginning November 6, Guests will enjoy a wide array of delectable Christmas treats from Tim Hortons® that includes the Merry Berry Choco Chill, Merry Berry Hot Chocolate, Rudolph Red Velvet Latte, and the Christmas Log Donut. In December, Guests are in for more treats as the Christmas Menu will further expand to include delicious baked goods that Tim Hortons® has always been known for. Chocolate lovers will find pleasure in the Merry Berry Choco Chill, a blended frozen hot chocolate drink with strawberry flavor, topped with whipped cream and dark chocolate flakes. 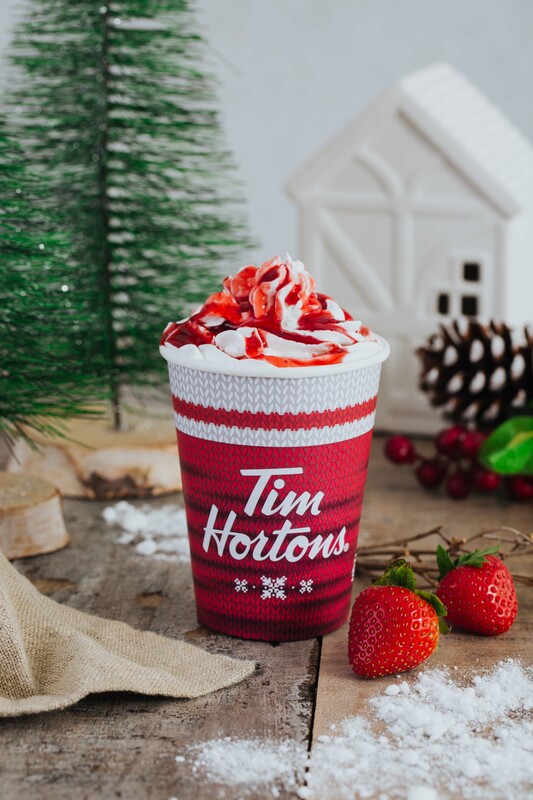 Those who look for the classics will love the Merry Berry Hot Chocolate, a bittersweet hot chocolate drink with whipped cream topping and strawberry sauce. Coffee enthusiasts will go for the Rudolph Red Velvet Latte, a bittersweet blend of espresso and red velvet with hints of chocolate and cocoa topped with red velvet powder. Not to be forgotten is the Christmas Log Donut, dipped in chocolate with dark chocolate flakes, drizzled with strawberry filling and topped with a fusion of biscuit balls, caramel, and chocolate. There’s truly a lot to watch out for this coming Holiday season at Tim Hortons®. Make sure to check out our Facebook, Twitter and Instagram at @TimHortonsPH for more updates about the Tim Hortons® #WarmWishes Campaign. Cherry Mobile has upgraded to greater heights when it comes to their tech products especially now that I am personally impress with their FLARE Series. Basically for a normal person the first thing you check is the camera and for me as a blogger, it is definitely important to get that instagram worthy shot. I was checking out the 3 units at the launch, the selfie and rear cam of the units improved and is so nice. You may compare it to the surfacing phone brands with HD phone cameras – I can’t name drop any brands. But Cherry Mobile carries the upper hand because starting P4K you can afford a good phone with a quality camera. I will be posting my personal take on the FLARE S6 Selfie soon. 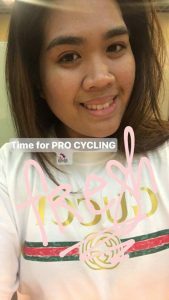 Understanding the importance of a selfie-centric smartphone to the Filipino market, Cherry Mobile developed and produced the sixth and newest generation of their Flare series with revolutionary mobile camera functions. Dubbed as the Flare S6 Series, the latest pride of the leading local mobile phone brand in the country is crafted with top-notch mobile photography features. It also comes with exceptional lenses which allow users to fully capture every moment in life. For those who want to upgrade their smartphone to something that offers superior camera functionality for just Php3,999 SRP, here comes the Cherry Mobile Flare S6. With its zooming 13MP front and back cameras, one can capture more exciting and candid moments together with friends, family, and peers. The shooters of the device are also equipped with face beauty, face cute filters, and other camera upgrades that make selfie or we-fie moments comparable to that of smartphones with hefty price points. The Cherry Mobile Flare S6 operates on Nougat 7.0 and is equipped with 2GB RAM and 16GB internal memory which can be amplified up to 64GB via microSD. The device is also LTE 700MHz-ready, uses USB Type-C for faster charging and file transfer experience, and is crafted with a fingerprint sensor for easy unlocking and extra security. One’s selfie moments can get truly remarkable with Cherry Mobile’s ultimate selfie smartphone, the Flare S6 Selfie. This device aims to impress and delight everyone who loves to capture more of themselves at their best angle. Its 16MP front and back cameras will not fall behind one’s expectations as it can take flattering selfies even in lowlight environments. More than its superb camera features, the Flare S6 Selfie sports a 5.2” full-HD screen for a more enhanced and defined mobile viewing. Users can also enjoy the most delightful features from Nougat 7.0 without glitches as the device is smoothly powered by a 1.5GHz Octa-Core processor. It comes with a generous 3GB RAM that enables users to switch effortlessly between windows and a 16GB on-board storage, expandable up to 128GB via microSD, to store in more files. For Php7,999 SRP, users can simply pose, snap, and post their picture-perfect photos anytime, anywhere they may be. Expect everything to be an A++ with the Cherry Mobile Flare S6 Plus, the flagship of the newest Flare S6 series. To begin with, its stalwart Quad-Camera will capture every moment in life that one would wish to treasure. From scenic views to crowd photos to everyday happenings, users could easily upturn their mobile phone photography skill using its 16MP + 5MP main and 16MP + 5MP front shooters. For one’s viewing pleasure, the screen has been widened to 5.7” with an 18:9 screen ratio, complemented with a TRUEVIEW display to ensure rich mobile viewing. This gives a significant improved viewing experience to users. Moreover, just like the Flare S6 Selfie, the Flare S6 Plus also operates on Nougat 7.0 and is powered by 1.5GHz Octa-Core for a full and maximized Android function. It comes with a gigantic 4GB RAM for seamless multi-tasking and 64GB internal memory which one can double up to 128GB via microSD. It is also 700MHz LTE-ready, supports Hi Fi Audio, and is formed with a fingerprint sensor and USB type-C port. The Flare S6 Plus is reasonably priced at Php9,999 SRP. What’s new? Presenting, the Cherry OS. On top of the improved mobile camera specifications, Cherry Mobile made the Flare S6 Series the most coveted smartphone of the brand to date with its own Cherry OS. Other Cherry OS apps – one example is Freezer, which helps you save data; messaging fonts that can be resized through volume keys; Themes to match your mood for the day; Clone to transfer files from your old phone to your new Flare S6 device; Quick-Touch for easier access to apps; and the Super App Lock to further privatize your files. With all these mobile camera upgrades and brand-new OS, Cherry Mobile makes sure that users enjoy the ultimate selfie and mobile phone photography experience anytime, anywhere. Be sure to check out the newest Cherry Mobile Flare S6 Series in all Cherry Mobile concept stores and kiosks near you. I’ve been wearing specs my entire life since I was a kid. Imagine, I was the super chubby girl with eyeglasses. It also kinda runs in the family, My dad and my sisters. My 3 siblings and I are four-eyed. My mom wears reading glasses, I don’t know it it counts because of the whole aging thing. As I got older, during highschool and college I tend to just hang my glasses because I feel I look better without glasses. It was when after I graduated I tried wearing contact lenses, it was a hassle because of how busy I am, I tend to forget to put solution now and then, in a matter of 6 hours my eyes get irritated and red. Back in college, I didn’t want to wear contacts because there were studies that it lead to dry eyes. Growing up I was socially awkward (I know it is hard to believe the person I am today), I didn’t look straight and my friends till today still tease me the way I look at people before. It was just a phase, glad I am over it. Till now I couldn’t find a logical reason on how I look at people before. Especially when it came to my crushes, I can’t even imagine how weird I was haha. I remembered meeting an optha specialist in the gym, forgot her name though. This was during college and she told me that at age 24 is the perfect age to get lasik because I was planning on my 18th birthday to get the procedure. Her professional advice was at the age of 24, that is already most like likely our permanent vision. If as early as that time my vision can still change plus considering lifestyle. Now that I turned 24 this year, It’s about time. 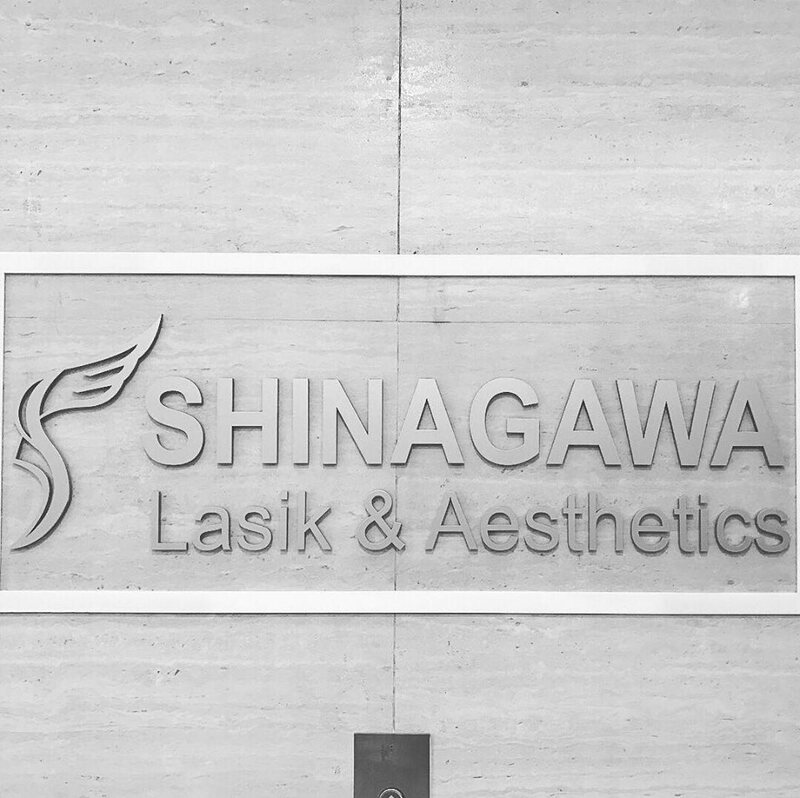 So If you guys are planning to get lasik at SHINAGAWA, make sure you don’t wear contact lenses for 7 days to get exactly the grade of your eyes. The test runs for about 3 hours atleast so it’s better to come in early. Before that set an appointment. I’ll be putting the details below. Another REMINDER : DON’T DRIVE home after the test. TIP: Bring SHADES and JACKET. You’ll know why after reading. 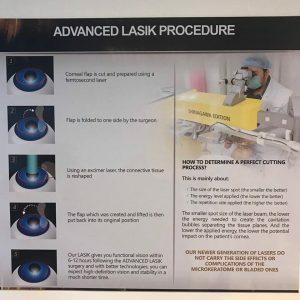 For your information, Shinagawa perfroms advanced lasik, not the traditional lasik we all hear growing up like going under the knife stories and the complications that you may go blind etc. 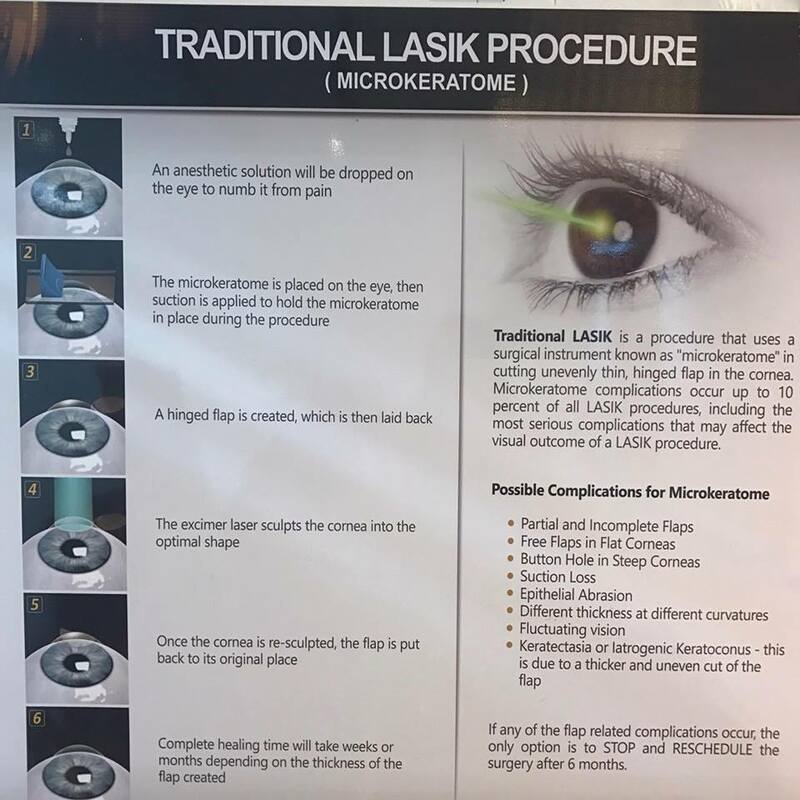 To differentiate them quickly, the TRADITIONAL LASIK PROCEDURE, (microkeratome) – this is the instrument that cuts an evenly thin lining of cornea. According to studies it may lead to possible complications. 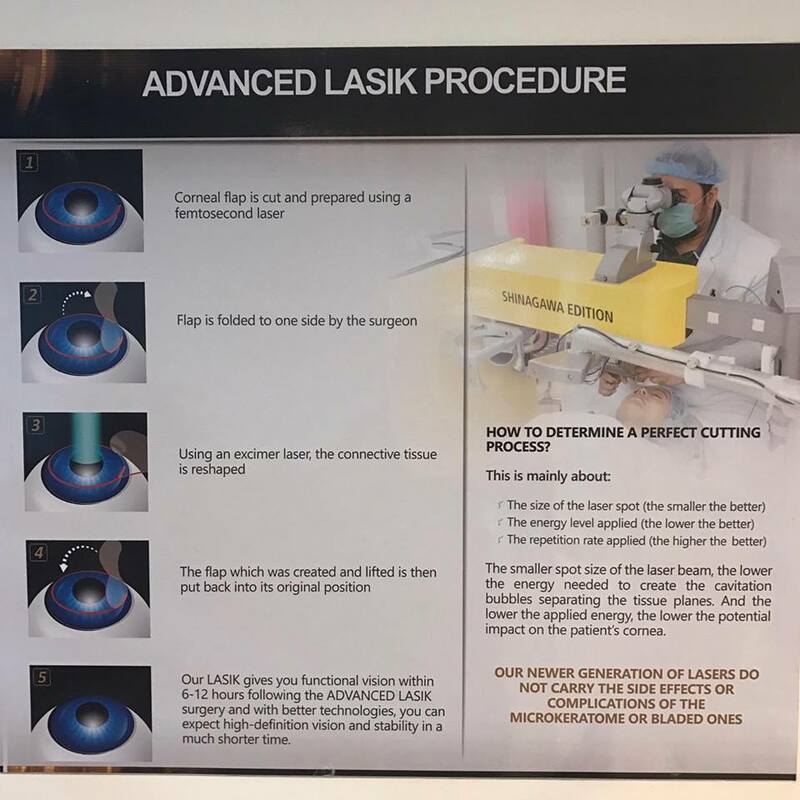 Corneal Flap is cut and prepared using a femtosecond laser. The flap which was created and lifted is then put back into its original position. 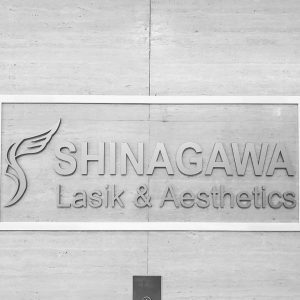 SHINAGAWA’S lasik, gives you functional vision within 6-12 hours following the ADVANCED LASIK surgery with better technologies, you can expect high definition vision and stability in a much shorter time. Sorry for the long intro, So to the point on how I passed for the screening. Like I said, It would take atleast 3 hours. You first write your basic and health related information. Then wait for your turn. They have 2 testing sites one in an open lighted area and the other one is the dark room. TIP: The center is kinda cold, I suggest to bring a JACKET. First stop is at the OPEN AREA, they check your vision and eye pressure using from one machine to the other. Then next at the DARK ROOM, different machines were used to test your vision. I can’t explain specifically each machine but you’ll be hopping from one machine to the other in a jiffy. After that, every 5 minutes for 3 times my eyes were given dilating drops. It made my eyes blurry and sensitive to light, Thank goodness I brought shades. So I have to wait for an hour for my results. TIP: They have a nearby Starbucks and Jollibee. After an hour, I talked to Doctor and he said I PASSED. Yay! 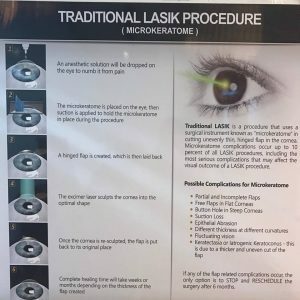 I was a bit worried because my dad did not passed his lasik screen test abroad and we have almost the same grade but his is a bit higher. Mine is 2.5 something and his is 3. something, I think. I’ll be sharing my actual results maybe on my next post. So SHINAGAWA, had an ongoing promo for October 68k instead of 140K which is the original price. This promo entitles to BDO CREDIT CARD HOLDERS, 12 Months to pay and 0% INTEREST. In line of last year’s national pampering day, Nailaholics Nail Salon and Spa conducts its second #NationalPampering Day 2. It is a nationwide celebration for a FREE MANICURE, FOOTSPA or FOOT MASSAGE on October 17 from 10 AM to 1 PM, from last year’s 10 AM to 12NN. In partnership with O.P.I. Nail lacquer and in support to WORLD VISION, THE PHILIPPINE ANIMAL WELFARE SOCIETY (PAWS) and SAVE PHILIPPINE SEAS. So if I were guys head over to any NAILAHOLICS branch and get your well deserve treat from all the hard work you did for this month! “We believe that launching iamClaire. 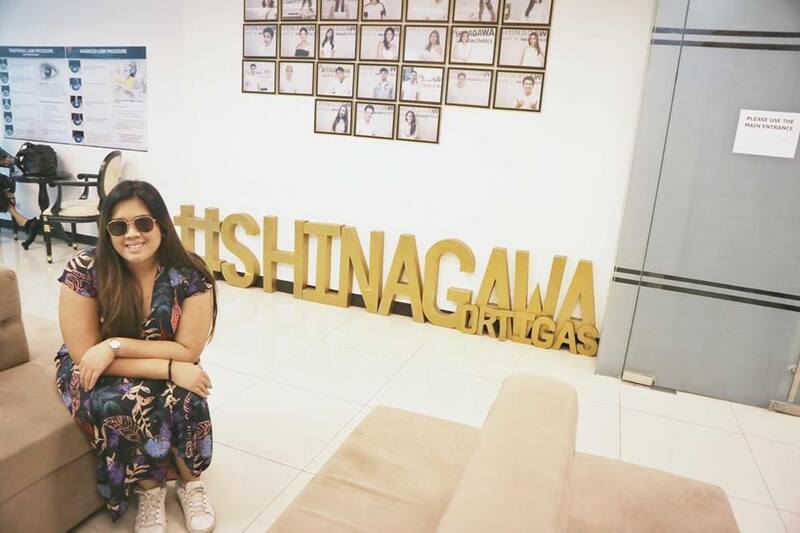 in the Philippines represents the perfect opportunity to address the needs of both female millennial consumers and the brands in the beauty, health & wellness, and overall lifestyle sectors. The shopping experience should be new— more social, more fun, more informed, and much less intrusive than what e-commerce presents them today,” says Randy McGraw, managing director and co-founder, ALTUS Digital Capital. imClaire. is the first product ALTUS Digital Capital has unveiled to the market. For almost a month now I have been using MIYU 3 in 1 Whitening: CLEANSING, TONER AND MOISTURIZER. It comes in a very cute pastel pink and green packaging. 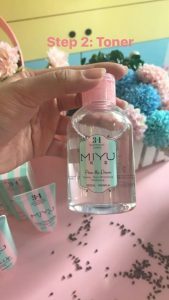 Miyu is a known Korean skin care line who came to the Philippines and created 3 products for the Pinay Skin. Got to hand it to you I am a fan of Korean beauty products. With that kind of admiration Philippines have with Korean aesthetics, it’s no question why Manila was a good target. MIYU conducted a study and formulated products based upon the Pinay skin. According to research, It has been said Pinays mostly use 3 skincare products: cleanser, toner and moisturizer. MIYU, Manufactured by COSMECCA KOREA CO. Ltd and distributed by AMWAY PHILIPPINES has created 3 products for the Pinay lifestyle. It is made from BUCKWHEAT, CHAGA MUSHROOM (Chaga glycoprotein) and HYALURONIC ACID. Buckwheat is responsible for the BRIGHTENING and decreases sebum to prevent acne. CHAGA MUSHROOM is for the PORE TIGHTENING and ofcourse HYALURONIC ACID is for MOISTURE. 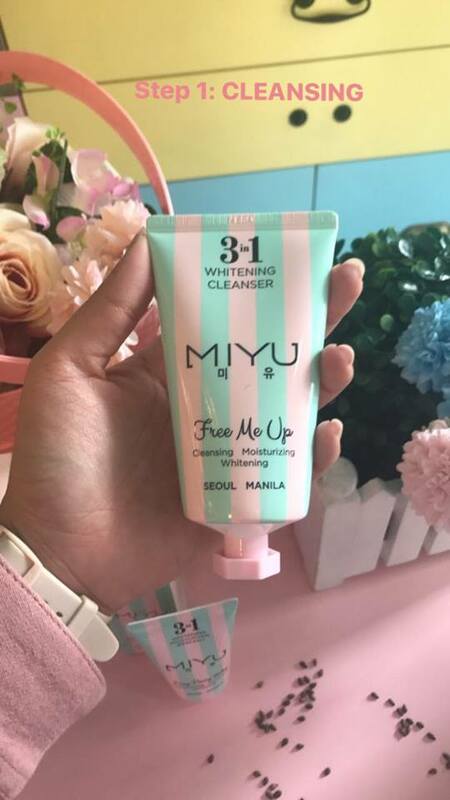 The MIYU WHITENING CLEANSER is called “FREE ME UP” : Cleansing, Moisturizing and Whitening. It has this “citrus” scent and it is gentle on the skin. If you guys ask it is good for all skin types. Available in 100 ML. The MIYU TONER is called “PORE ME DOWN” (such cute names), for TONING (removes dead skin cells, Pore Minimizing and Tightening & Whitening. Sometimes I just dab it directly on my face and just a few drops it covers the entire face.The products are good to cover till 4-5 months based upon my estimation on how I used it. My favorite, the MIYU “EASY PEASY BABY” For Moisturizing, Protecting SPF 30 PA+++ and WHITENING. According to research, Pinays are not into sunblock, how ironic considering how hot it is here in manila and the beaming heat too. So Miyu was so smart to create a MOISTURIZER and SUNBLOCK together. I personally bring this when I am on the go with no make up.